Insect specialists are warning Iowans about a destructive pest that’s moving into the state. Iowa State University Entomologist Donald Lewis says brown marmorated stink bugs behave like boxelder bugs. They’re starting to invade eastern Iowa. “When this thing invades, they have tens of thousands of them on the sides of their house. So our population, although we think it is established here, is very small compared to what others have reported in other parts of the United States and what it is likely to be (in Iowa),” Lewis said. The brown marmorated stink bug reproduces very quickly, which has Lewis predicting “unbearable numbers” in Iowa in just a few years. 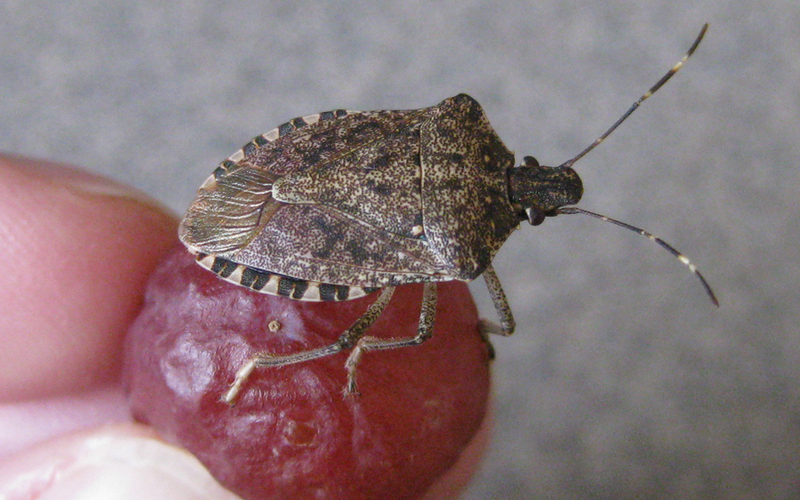 The first breeding infestations of brown marmorated stink bugs were confirmed earlier this month by I.S.U. entomologists in Scott County. Detections of the bug have now been reported in at least 38 states. The stink bug was first identified in Pennsylvania in 2001. Lewis made his comments on the “Talk of Iowa” program on Iowa Public Radio.